레티로에 있는 본 숙소(크리용)는 여행객들에게 인기가 있습니다. 이 곳에서 생동감 넘치는 도시의 많은 것을 최대로 즐길 수 있습니다. 투숙객들은 팰라시오 파즈, Circulo Militar, 무세오 드 아르마스 등과 같은 도시 최고의 명소 관광을 즐길 수 있습니다. 독보적인 서비스와 시설의 풍부함을 부에노스아이레스에 있는 본 숙소에서 맘껏 누려 보세요. 본 숙소에서 24시간 룸서비스, Wi-Fi (무료/전 객실), 장애인용 편의시설, Wi-Fi (공공 장소), 룸서비스등을 포함해 다양한 서비스를 이용할 수 있습니다. 완전한 편안함과 따뜻함이 어우러진 분위기가 물씬 풍기는 총 96개의 객실이 있습니다. 본 숙소에서 마사지 등을 즐기며 편하고 완벽한 휴식을 취할 수 있습니다. 본 숙소(크리용)는 부에노스아이레스 방문 이유와 상관없이 아주 신나고 즐거운 일상 탈출을 즐길 수 있는 완벽한 장소입니다. 객실은 상대적으로 깨끗합니다. 바닥도 카펫이 아니라 먼지가 적습니다. 그러나 창밖풍경은 기대하기 힘듭니다. 전반적으로 편안합니다. Hotel was fine, great position, excellent breakfast but no bar or lounge in the hotel. Eventhough the location is good and the staffs are trying to be helpful, but the value is way below what I have paid for. Firstly, the door room is faulty and can be opened by anyone without any card scanning (but they fix it after my complain). Secondly, the phone in the room is not functioning, and I have to go down to the reception in person everytime when I have a request or question. Thirdly, their shampoo is of very low quality, my hair got all tangled badly and there’s no conditional provided (I tried another hotel afterwards and their shampoo was ok). Hotel is located just next to subway station. Facility is fine as usual business hotel. However service was quite poor. There was one one worker in reception. To ask the question, I should wait really long time. Also they were really not helpful. When I ask some reservation, they always answered me that I should do by myself, finally one worker talked he reserved, but when I checked later, he did not book.. The location is pretty good and you can walk around and get to the shops and the sights. We just stayed for a night so didn't really have much time to go around. Like most hotels in town, there are restaurants, shops and night spots nearby. The room is not too big, I would say just adequate for the 2 of us. 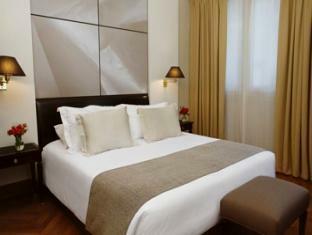 The hotel is situated in the center place and we can easily walk to most of the sightseeing places in Buenos Aires. Although the size of standard rooms is a bit small, I was very comfortable because I did not have much luggage. In any case, storage areas are adequate. 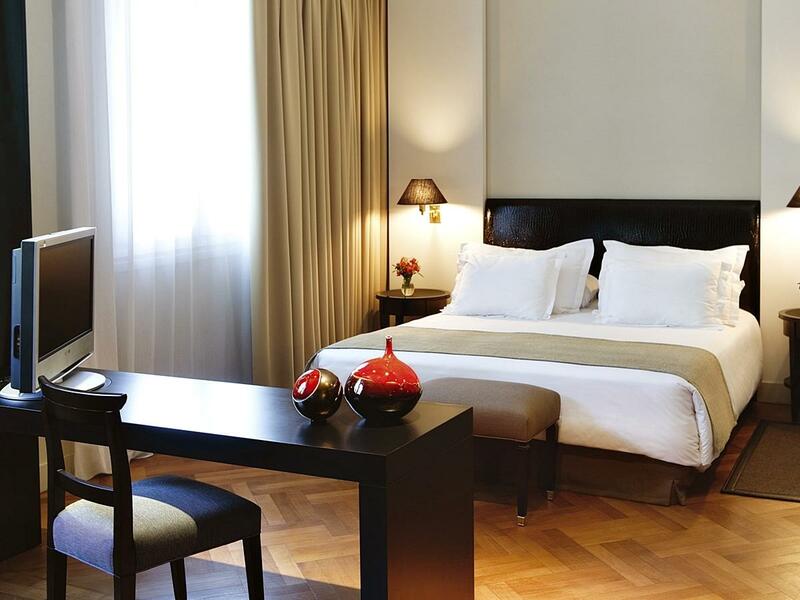 Rooms have great contemporary design and feature parquet floors. They also have a relatively small flat-screen TV and mini-bar that might have been better stocked. The bed was large and very comfortable. Overall, the rooms and bathroom have tasteful modern decoration. Smoking rooms are available on request (fourth floor). Staff were extremely professional and attentive at all times. Location is close to Florida Street for shopping. I was very pleased and enjoyed the buffet breakfast! Great Location near main shopping area; totally free internet; free safe box; walking distance from everything. I stayed there in winter; It was a bit cold for me in the beginning. I thought it took awhile before hot water came out. Maybe just my room. I could not heat the rooms as much as I wanted like in USA. The same thing happned in Brazil, maybe it is just the way it is there in South America. The hotel is in a good location, adjacent to a park and a short cab ride or 20-minute walk from Ricoletta, Puerto Madera, or the Obelisk. The rooms are minimalist modern, with plenty of space. The staff is very friendly and helpful. The breakfast was very good, with plenty of selection. I wish I had stayed here at the start of my trip to Argentina, as opposed to another hotel. no seating place in the room like chairs etc and a table for eating or for tea etc. The hotel is very well located. It's in front of Plaza San Martin, very near to 9 de julio. The accomodations are news and the space are moderns. It's very clean and they respect the division between smoker and nonsmokers. The breakfast is very good and you can seat in front of the Plaza San Martin. The room and the bathroom are not very big, but well planed. I liked it very much and certainly would be back. The staff is very attencious. 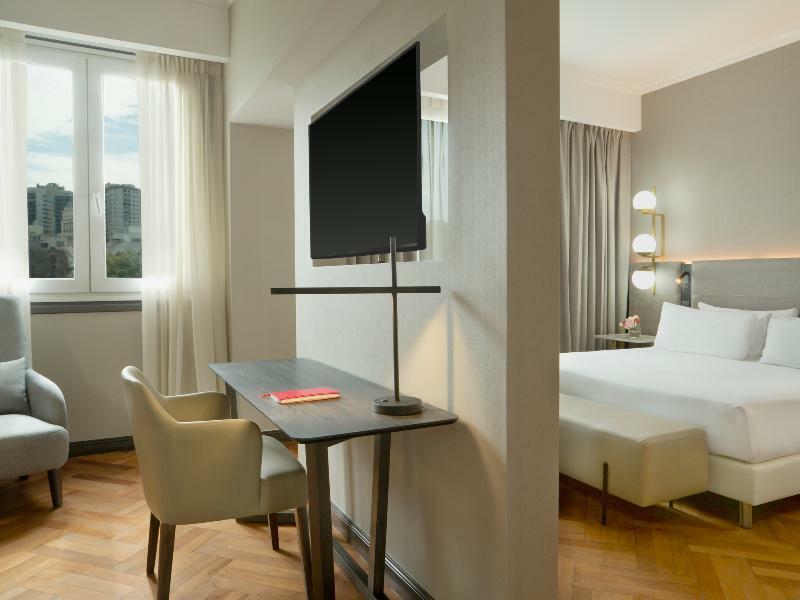 NH Crillon Hotel Buenos Aires is in a great spot 50 metres from the San Martin metro stop. The area bordering Ritero and Recoleto is also convenient to downtown BA as well, being very close to the northern end of Florida shopping street. Hotel is clean, comfy, with free wifi and a great wi-fi service, and would definitely stay here again when visiting BA. Some areas of hotel corridors are a little dated - not rooms however. The hotel is very well located. And, although it is in the corner of a great avenue, the Santa Fé avenue, in the rooms you have no noise. It's a new and modern hotel, and very clean. The staff are gentle. The breakfast is wonderful, with a great variety of breads and so. The room are a little small, but very confortable. The bathroom are a little small too, but it doesn't exactly a problem. We loved the hotel. Its location is perfect, in front of the one of most beautiful square in Buenos Aires, the Sain Martin Square. It is a lovely place to walk and to begin your walking throw the Florida street, very nearby. The rooms are silently and the bed very confortable. 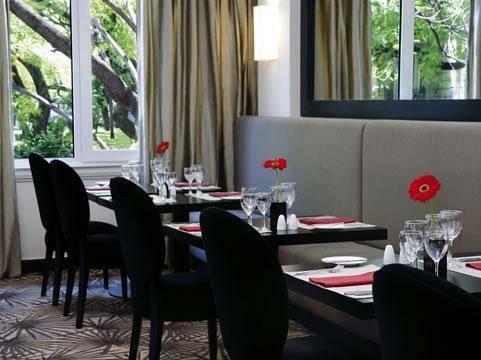 In the breakfast room and in the suites you have the view of Plaza Sain Martin. it is lovely. +The free breakfast is a continental breakfast with some scrambled eggs. The coffee is super strong, so be prepared. If you want cream rather then milk for your coffee, you will get whipped cream. We stayed at this hotel two weeks earlier. It is well worth staying at. The included breakfast is not up to the standards the NH was in Amsterdam. Other then that negtative, it was wonderful. If and when we come back to Buenos Aires, we would definitely stay here again. Loved it. 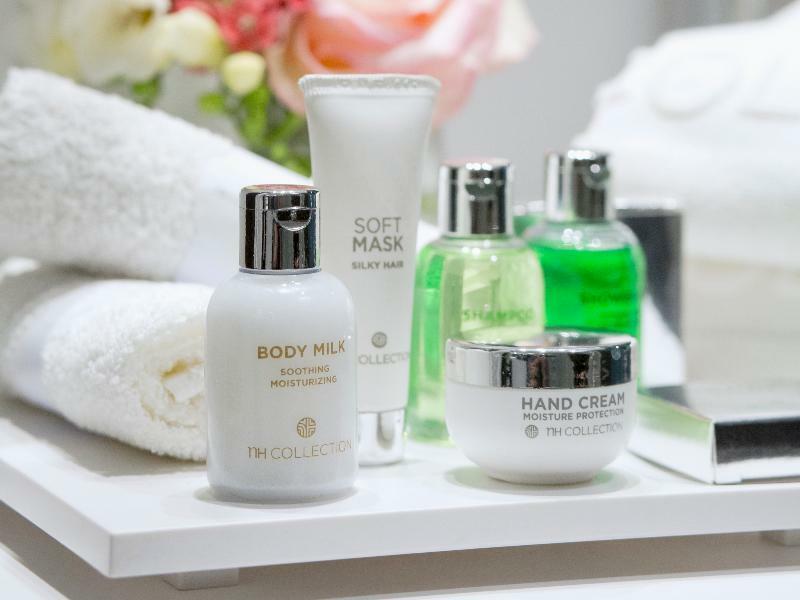 The NH chain of hotels provides a consistency in quality that the traveler finds dependable. As with other properties within the chain, one finds oneself well located, with professional service and wonderfully located. An added bonus was the free wireless internet in each room. This is a great feature for the business traveler.